Speakers include Mieke Bal, Maria Lind, Marina Wallace, Rosie Cooper and Pam Meecham. The VIVA Curatorial School, organised by the Valletta 2018 Foundation, kicked off on Monday 1st September as part of the week-long Valletta International Visual Arts Festival. Valletta 2018 Foundation Chairman Jason Micallef said “Valletta 2018’s role is to serve as a catalyst towards strengthening our existing cultural infrastructure, to nurture talent and creativity and to empower artists, operators and creative enterprises to reach new levels of excellence in their work”. This vision is supported by Government’s commitment towards developing the cultural and creative sector as the most dynamic facet of Valletta and all of Malta’s socio-economic life. The theme for the first edition of the Curatorial School, is Curating: Politics, Publics, Pedagogies, dealing with power relations in displays, social practices in curating contemporary art, engaging audiences and methods of mediating contemporary art, alternative pedagogic models and different museum practices. 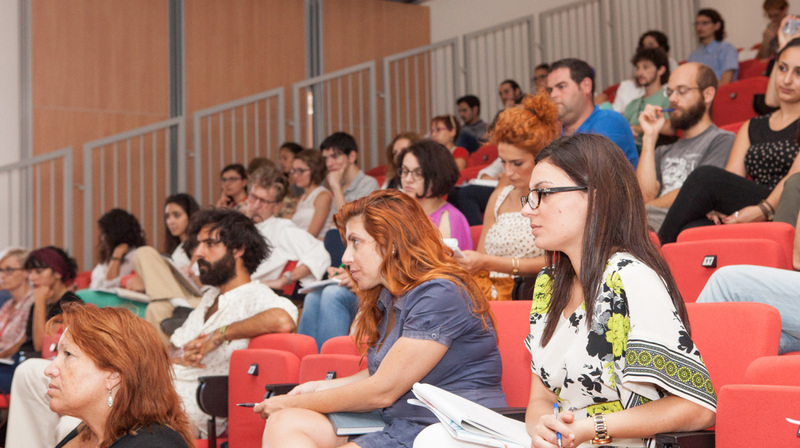 Taking place at the Valletta Campus, University of Malta, the Curatorial School is an intensive one-week curatorial programme with international speakers from various European institutions. More than 90 artists and students, both local and from overseas are attending. Staff members from the University of Malta, MCAST and Heritage Malta, are also participating in this first initiative of its kind in Malta. Speakers include Mieke Bal (cultural theorist and critic, Amsterdam School for Cultural Analysis, University of Amsterdam), Maria Lind (director, Tensta Konsthall, Stockholm), Marina Wallace (director, Artakt and professor of curating, Central Saint Martins, University of the Arts London), Rosie Cooper (project curator, Liverpool Biennial), Ine Gevers (freelance curator and artistic director, Foundation Niet Normaal), Kit Hammonds (tutor of curating contemporary art, Royal College of Art, London), Pam Meecham (professor of education and museum studies, Institute of Education, University of London), Michelle Williams Gamaker (UK video artist) and Democracia (Madrid-based artists’ group). The VIVA Curatorial School is taking place alongside the Curators in Residence programme during which three emerging curators from the Netherlands, are spending two weeks researching in Malta, through the collaboration with Leeuwarden 2018, the city that will be co-hosting the European Capital of Culture. VIVA is being co-organised by St James Cavalier Centre for Creativity, Arts Council Malta, the Valletta 2018 Foundation and Aġenzija Żgħażagħ. It is supported by the Faculty of Education, University of Malta.